NO transmission in schools or Daycares. 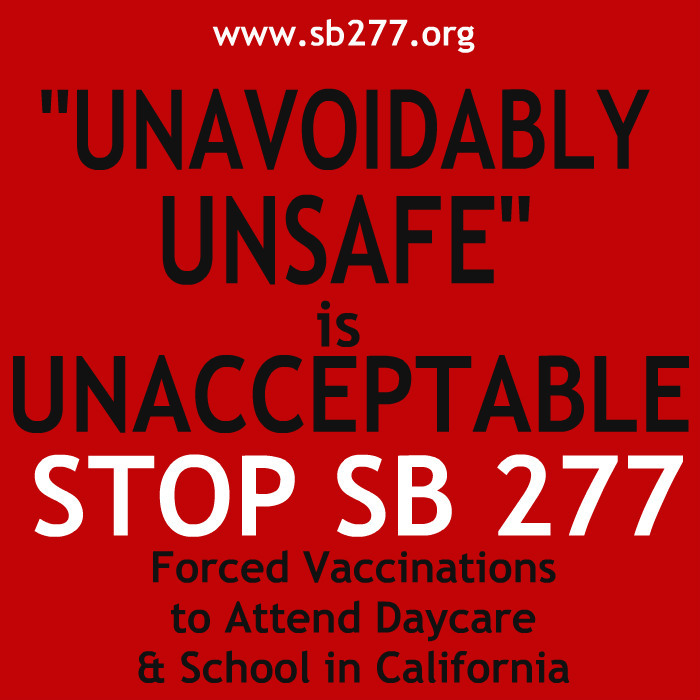 MANDATED VACCINES for children (SB277) and those working with children (SB792) are being pushed because of an 'outbreak' of measles in California. Step away from the fear mongering media outlets and review some of the statistics from the CDC and the CA Health Department. 1. Measles cases 133 out of a population of 320,090,857. WHY is 133 cases considered LARGE this year when it was over 600 cases last year and it wasn't even mentioned in the media? 3. If the vaccination rates have remained fairly constant why has there been a fluctuation of reported cases? 4. Looking at this data <chart 3> shows that abolishing personal belief exemption would not significantly reduce the number of measles cases in California in the future. 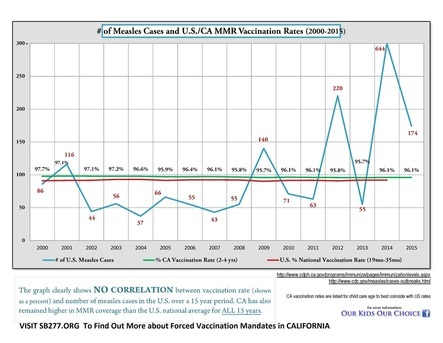 1) 132 out of 134 California measles cases since December have occurred in counties where the percentage of personal belief exemptions is already significantly below 5%. 2) Most notable is LA County (with over a quarter of all measles cases state-wide) which has 1.62% of kindergarten entrants with PBE and 12.28% conditional entrants. 3) Conditional entrants have nearly triple the impact on state-wide vaccination rates of kindergarten entrants as compared to kindergarten entrants with personal belief exemptions, and 7.5 times the impact on Los Angeles county vaccination rates in particular. 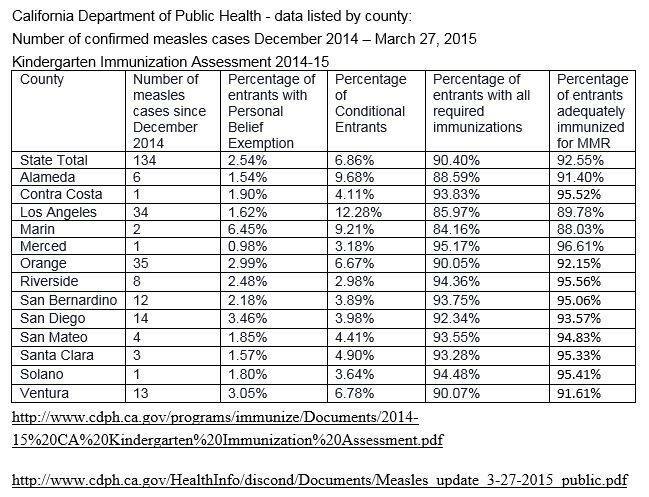 4) Approximately 20% of CA measles cases since Dec. 2014 have occurred in counties with OVER 95% of kindergarten entrants fully vaccinated against measles. MEASLES is a self limiting sickness. It has caused NO DEATHS in the US in the past decade. This 'outbreak' has run its course and there are no new reported cases in the past 10 days. Over a 15 year period, the measles vaccine has NO EFFECT / NO IMPACT on the outbreak of the disease. The vaccination rates remain constant and the outbreak rates fluctuate drastically. 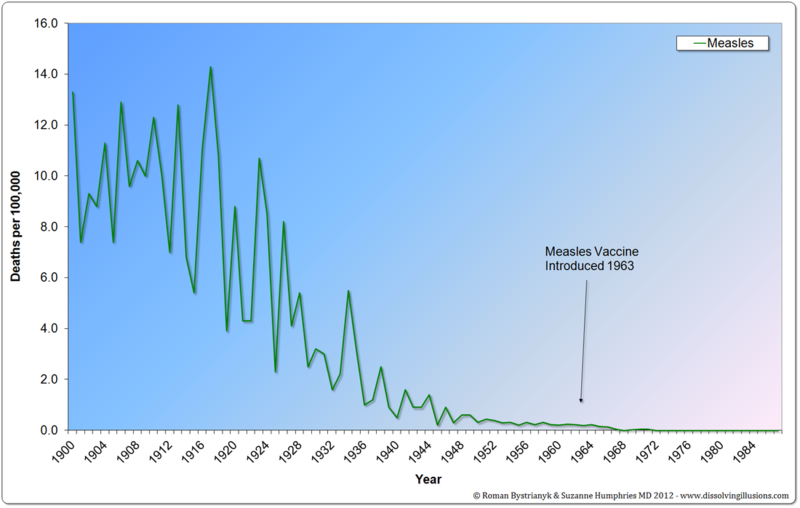 Chart 2: Measles cases and related deaths were at a constant decline PRIOR to the introduction of vaccines. Rational thinking has been the first casualty in this 21st century equivalent of a 17th century witch hunt 43 led by defensive doctors in government, industry, academia and media, who are fed up with parents asking them questions about vaccine risks and failures they can’t answer. "For no reason other than freedom, without prejudice on the pros and cons of various vaccinations both individually and on a broader statistical basis, no citizen should be made to get an injection of anything at the point of a gun. I absolutely oppose this legislation." Should this bill become law, it will mandate ALL vaccines to ALL students in California, whether they are enrolled in public school, private school, parochial/religious school, charter schools. Eliminating public school education to partially, selectively vaccinated children. 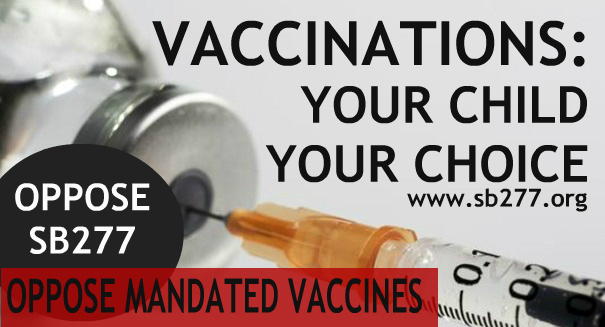 CALIFORNIA WOULD BE THE ONLY STATE THAT OFFERS NO CHOICE IN REGARDS TO VACCINES. Should this bill become law, every resident in the state of CA from preschool to the age of 18 will be forced to be vaccinated with every mandated vaccine in order to reside here and to be eligible for any public and private schools. Vaccines manufacturers and the doctors who administer vaccines are completely shielded from liability for vaccine injuries and deaths. There are hundreds of new vaccines in development including some of the following in clinical trials: HIV, herpes, E. coli, dengue fever, avian influenza, smallpox, tuberculosis, typhoid, norovirus, cholera, smoking cessation, syphilis, and gonorrhea. If vaccine manufactures and others who profit from forced vaccination convince legislators take away our right to delay or decline a vaccine now, what will our future look like?